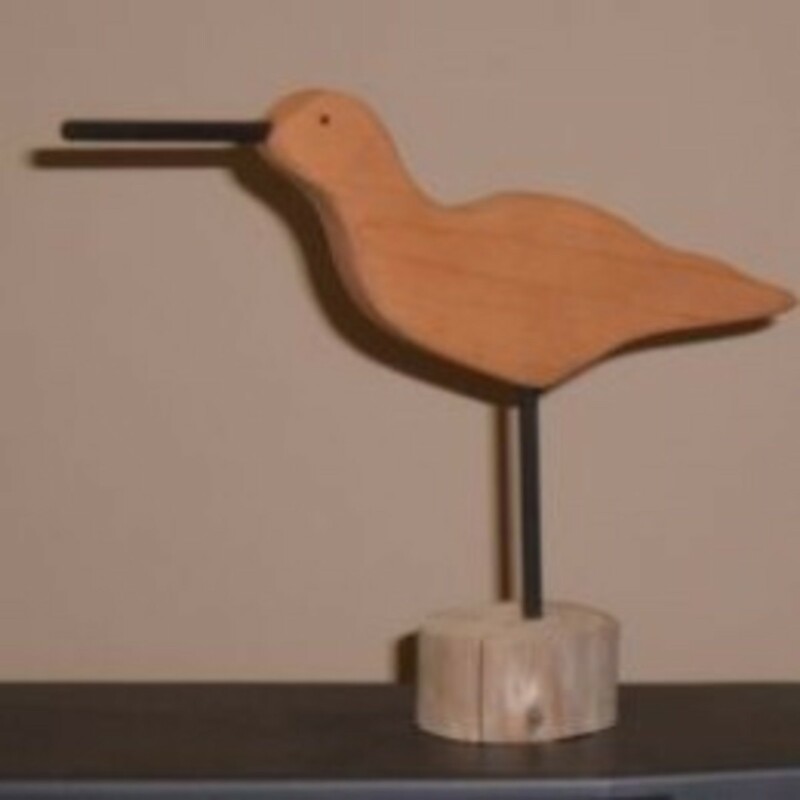 Making a shorebird silhouette decoy is a fun and easy woodworking project, and this is a great beginner project for anyone who wants to learn how to make decoys. 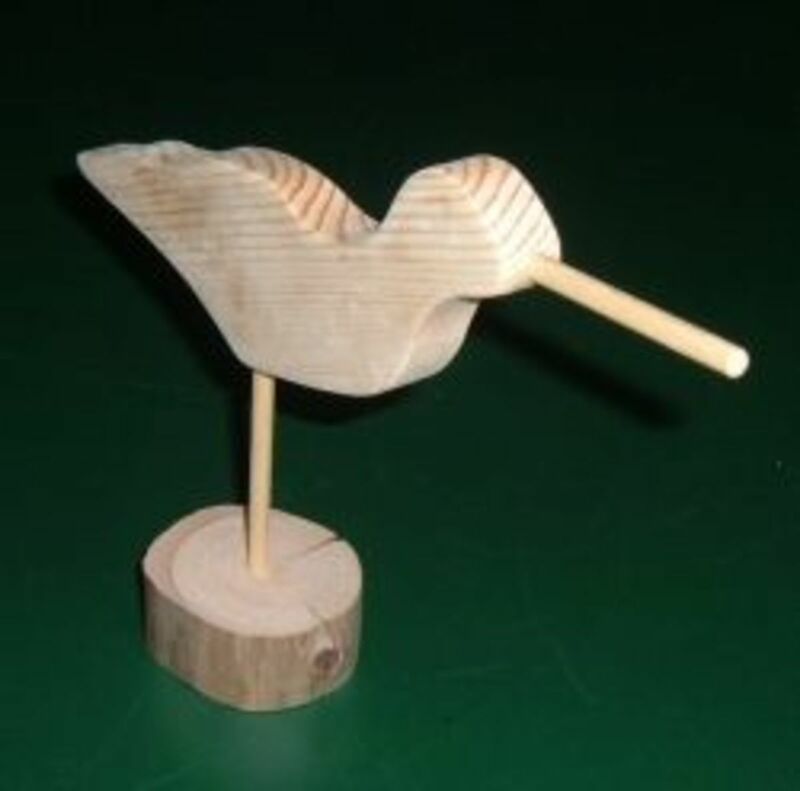 Cut from a small piece of pine, the beginning carver can quickly make an attractive decoy using just a few basic woodworking tools and complete the project within a short period of time. 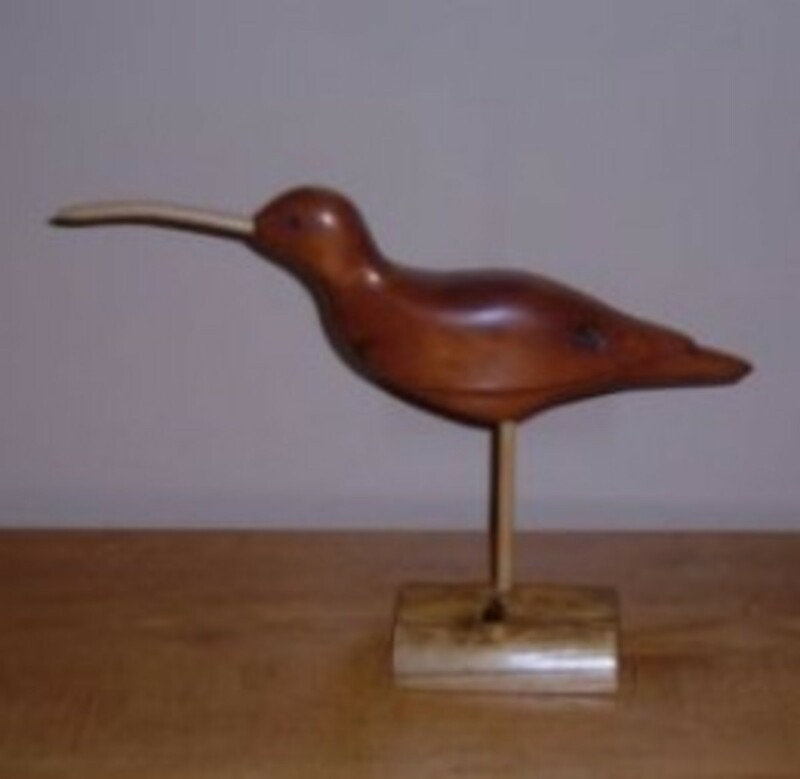 The silhouette style of shorebird decoy was used to hunt ducks, geese, pigeons, crows and many types of shorebirds in the early 1900s during the days of the market hunters. Long before commercially manufactured decoys were readily available, hunters often made their own duck and shorebird decoys. Crafted from inexpensive and readily available materials, the decoys were used to lure the hunter's quarry within range of their guns. Today, these vintage silhouette decoys are prized by collectors. 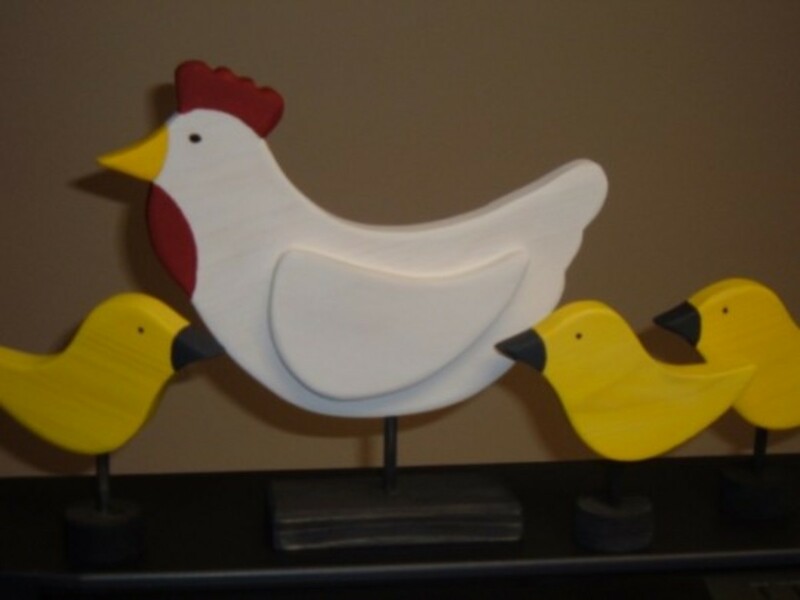 Many of the original antique decoys are quite valuable, preserving an era of Americana Folk Art. 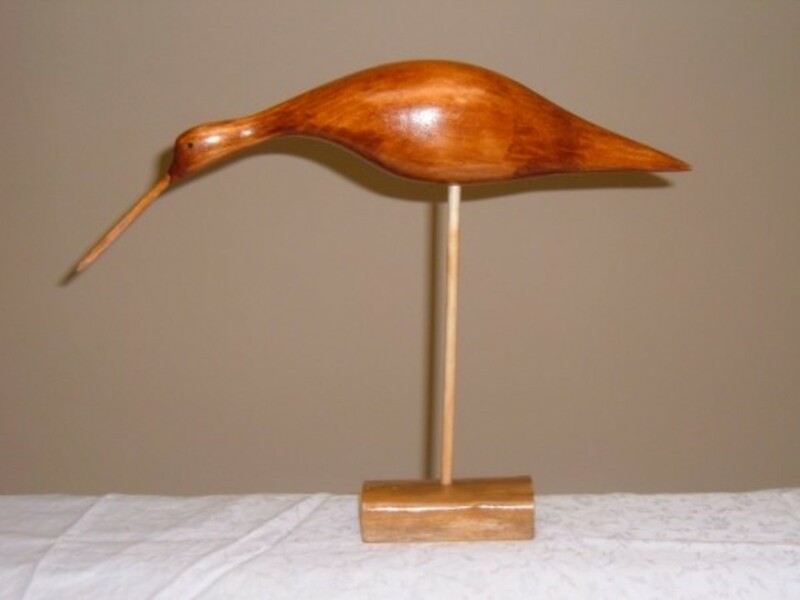 While many duck decoy carvers still produce working decoys, shorebird decoys are primarily decorative. 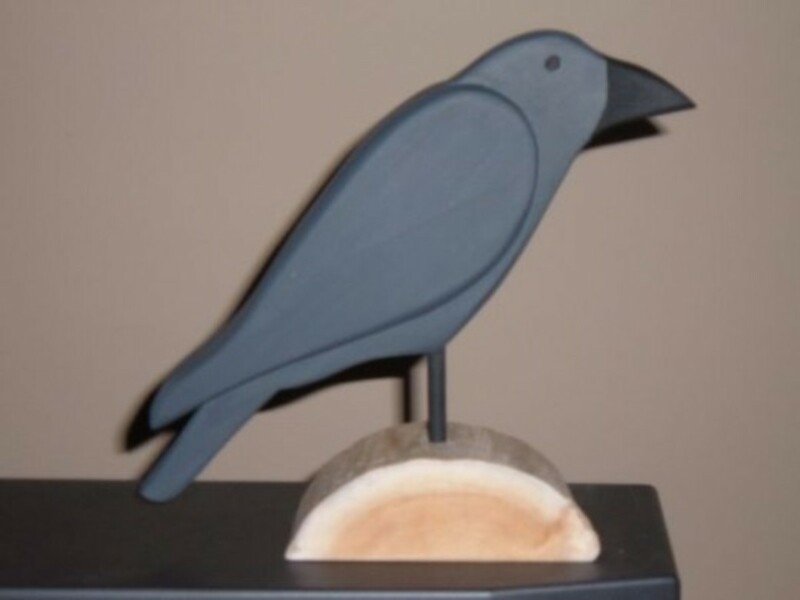 Decoys range from the very simplistic silhouette style demonstrated here, to highly detailed and realistic representations created by master carvers. 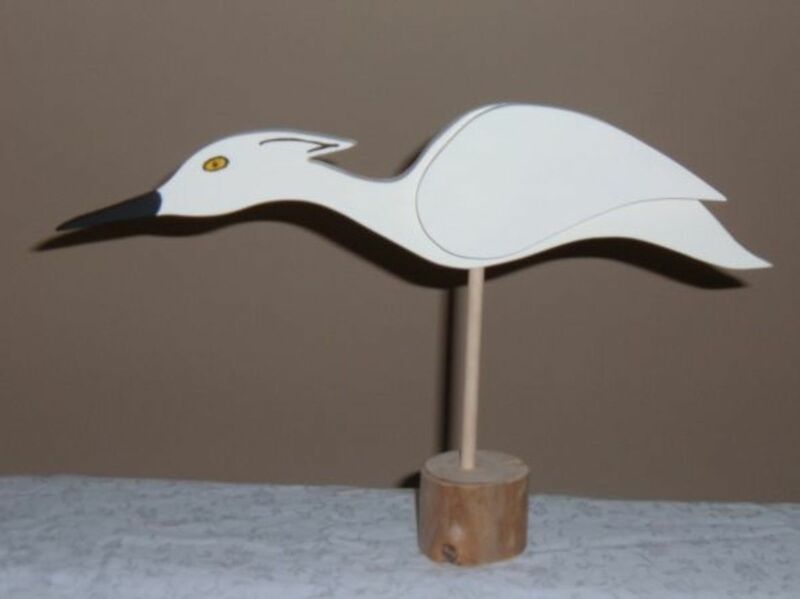 This simple silhouette decoy represents a curlew shorebird. The body of the bird is cut from a small piece of 3/4" thick pine that is approximately 10" long by 4" wide. 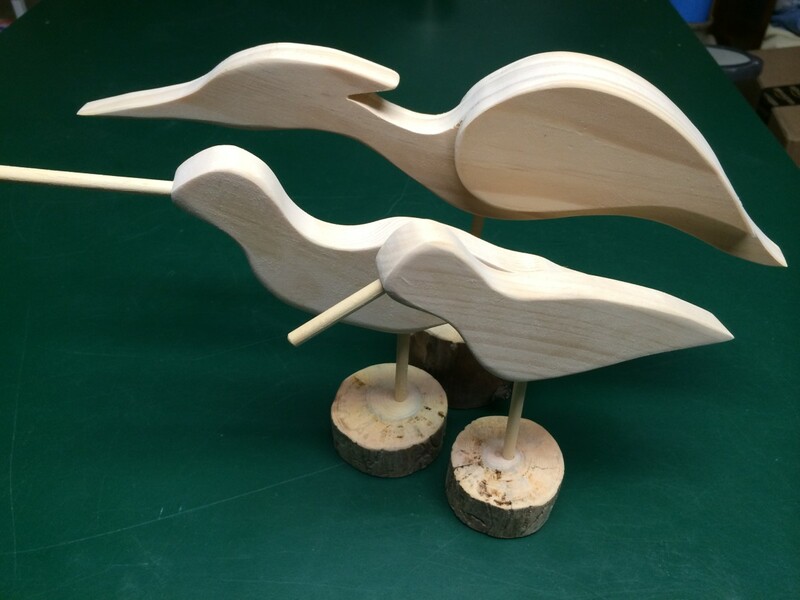 The beak and leg are cut from short pieces of 1/4" diameter dowel, and fit into 1/4" holes that are drilled into the decoy blank and into the stand. The stand was cut from a piece of driftwood. 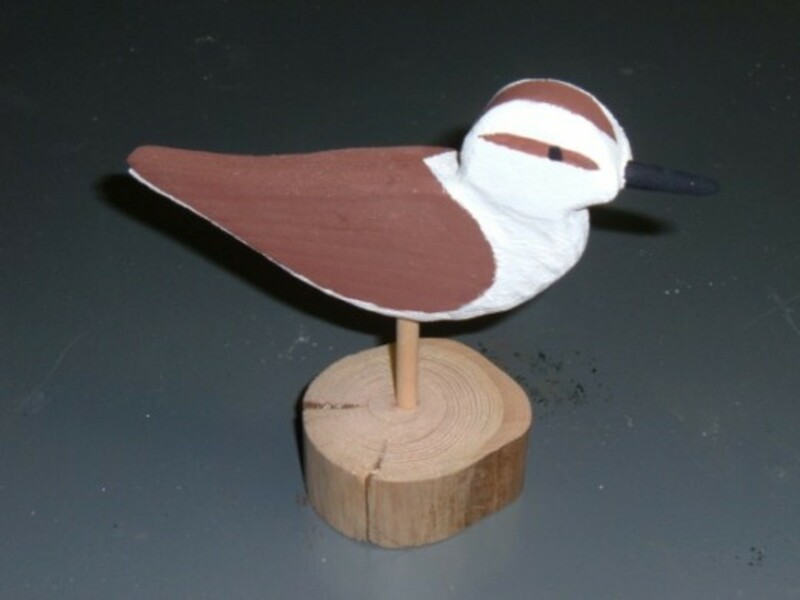 The curlew decoy resembles a basic sandpiper shape, and is not to scale (a real-life curlew is much larger). Using the template as a guide, draw a similar shape. 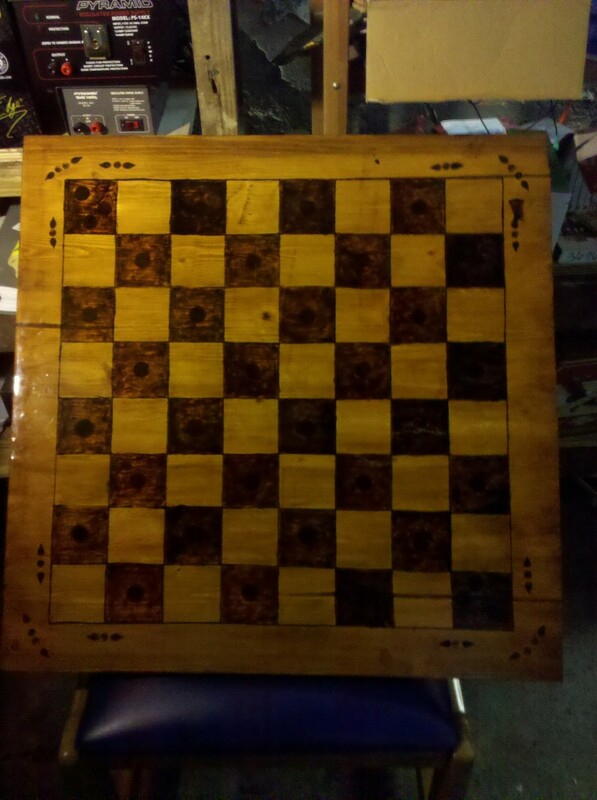 For references, the squares in the grid are 1" by 1". 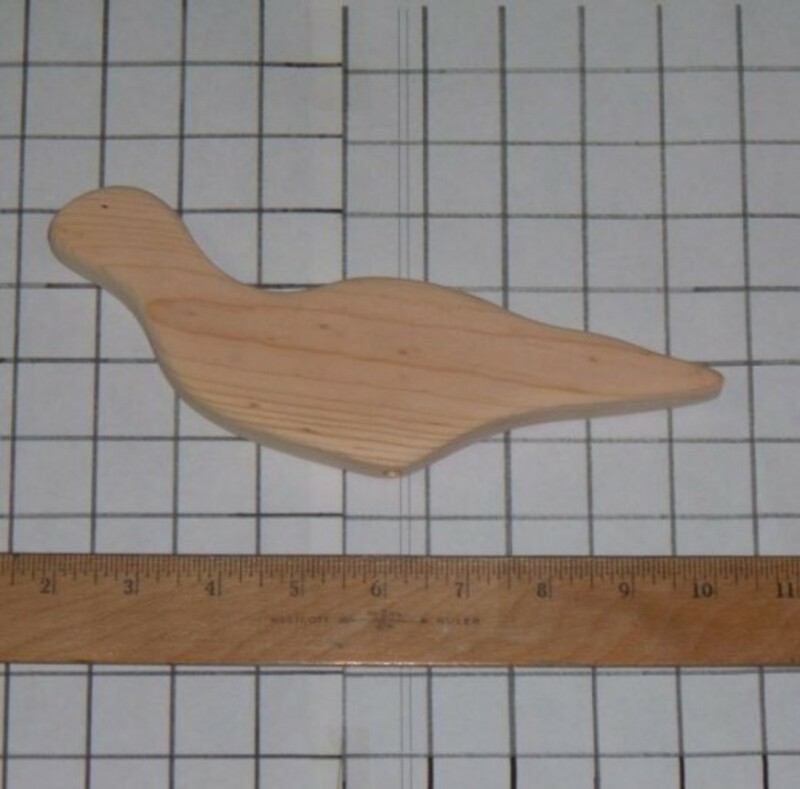 The exact shape of the decoy silhouette is not critical, but the shape should be pleasing to your eye and in proportion to the decoy blank: not too short, too wide, too thin, etc. The example shown here results in a standing curlew, and you can experiment with the body position and placement of the leg and bill for a variety of different stances. If you plan to make multiple curlew decoys, take a few minutes to create a master pattern from cardboard or a similar material (my pattern is cut from a scrap piece of veneer plywood). 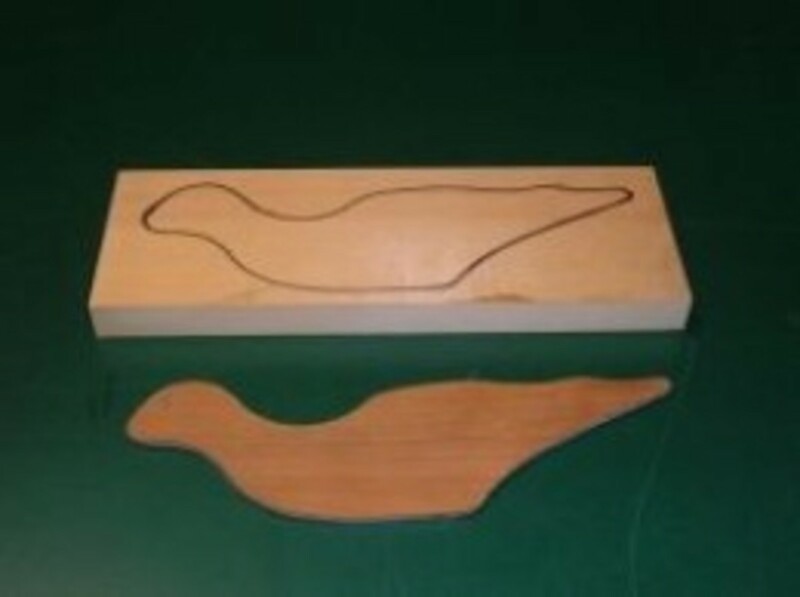 Select a suitable piece of wood, and then trace out the curlew pattern. 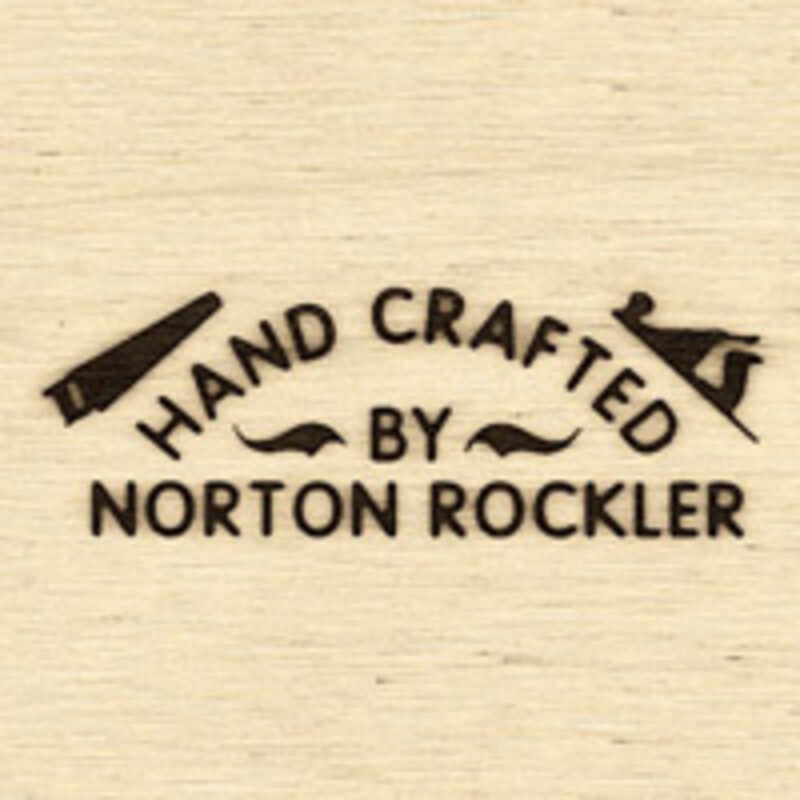 Look for a piece of stock that is free of knots.Take note of the direction of the wood grain, and orient the pattern so that the length of the pattern runs with the grain of the wood. This will result in a stronger blank that is less likely to crack and break during the sanding and finishing process. 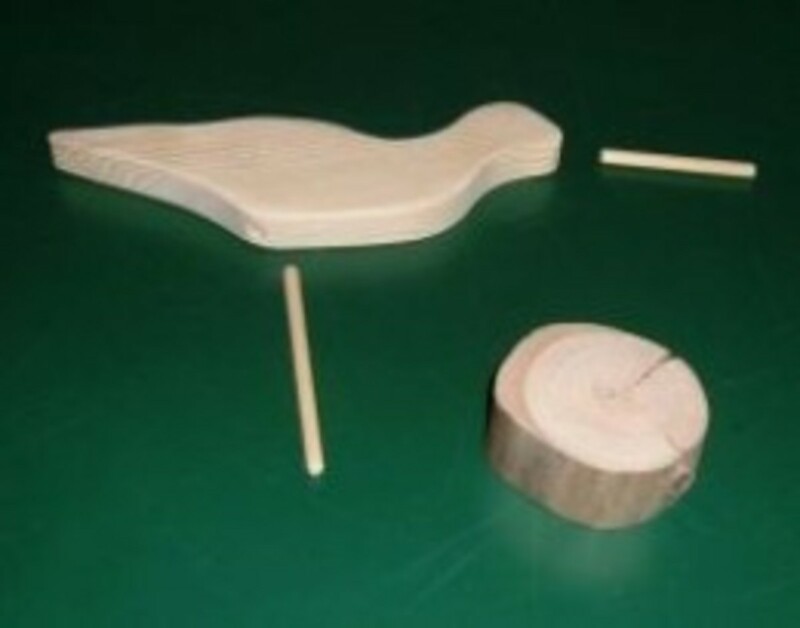 Using a jigsaw or band saw, carefully cut out the decoy blank. 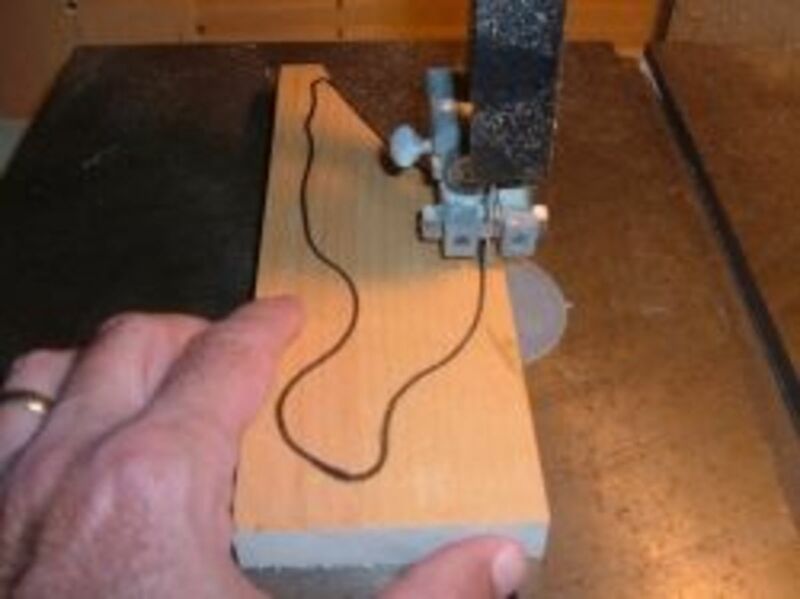 Working slowing, take care to keep the saw blade on the outside of your pattern lines. Typically, I start by cutting along the bottom edge, beginning at the tail and working towards the head. Remove the lower section with the first cut, then re-position the blank to cut away the wood from the belly and neck sections. Next, start at the head and work back towards the tail, cutting along the top pattern line. Finally, clean up the areas around the head and the tail areas. While you're using the saw, cut the 1/4" dowel to length. The bill piece is approximately 2-1/4" long, and the leg section is about 3-1/2" long. 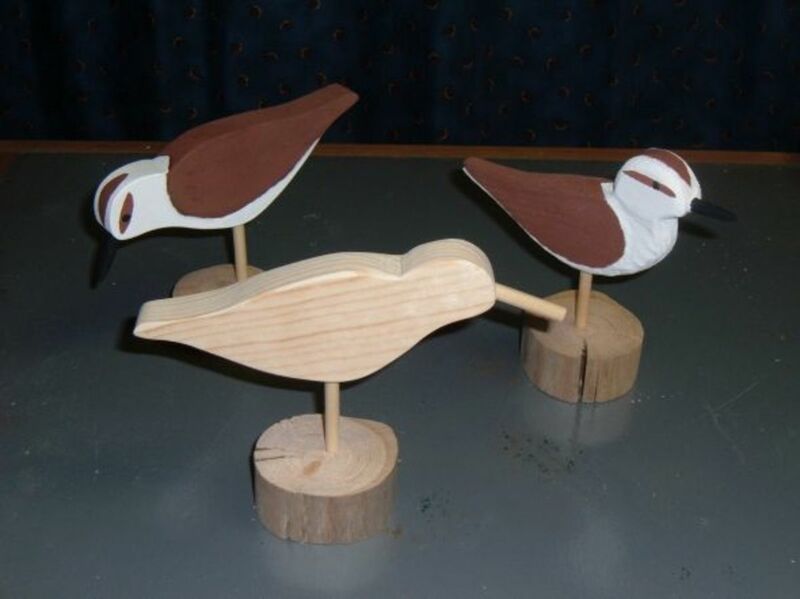 Now comes the most critical step for creating an appealing silhouette decoy: the placement and drilling the holes to accept the dowel pieces that make up the bill and leg. 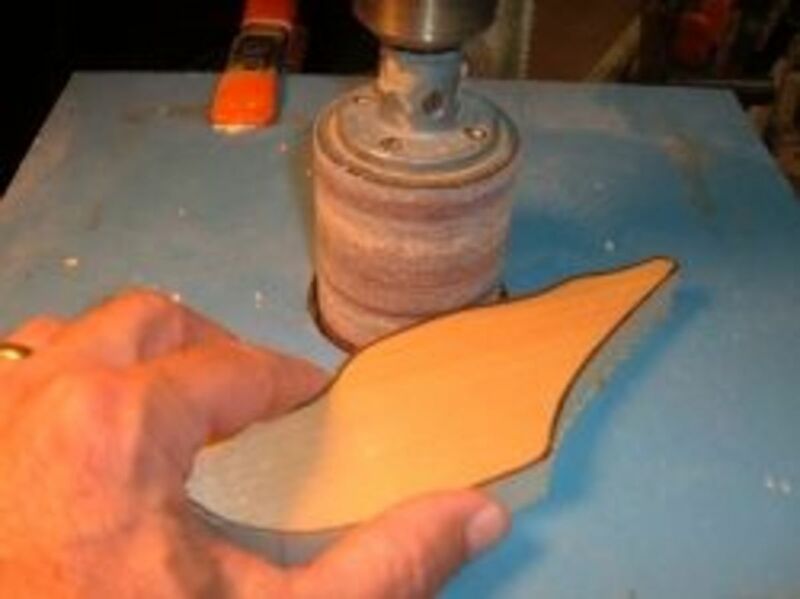 It is very important to center the holes along the edge of the decoy blank, and to drill the holes straight. Begin by laying out locations for the bill and leg holes along the edge of the blank, taking care to ensure that the "X" marks the center of the wood.Using a clamp, secure the blank to a workbench to prevent the piece from moving as you drill out the holes (I use a drill press with a 1/4" brad-point drill bit, but a hand-held drill works fine too). Position the drill inline with the work piece and carefully drill out each hole. The depth is not critical but should be about 1/2" deep. Test fit the bill and leg, and check to see if your holes are centered and in the proper orientation. 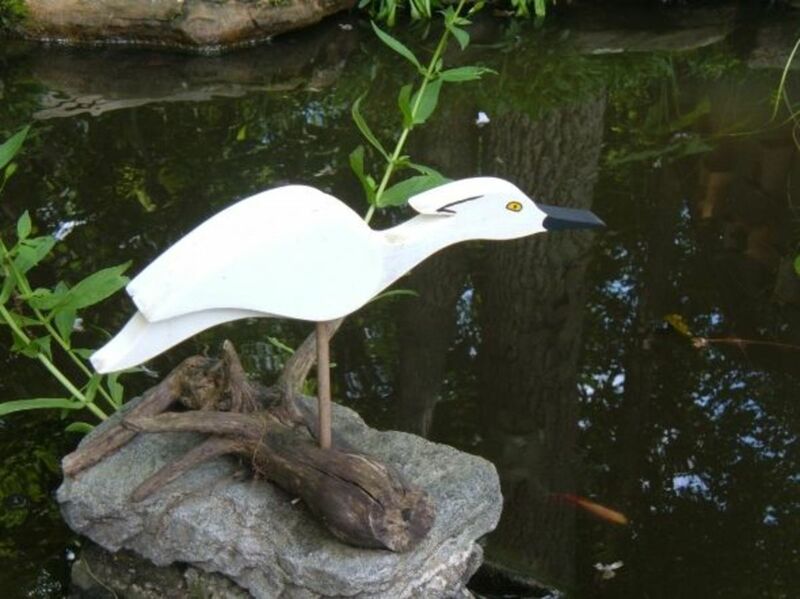 Your curlew silhouette decoy should resemble the example in the photo (though this blank is already sanded smooth). 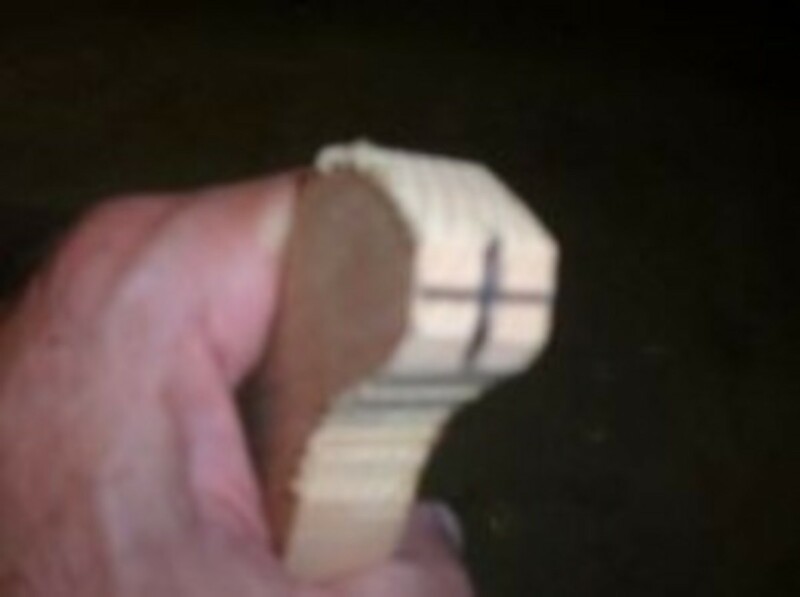 If your hole is off-centered or angled to one side, cut and glue a small piece of dowel to fill the hole. Sand the plug smooth, then mark and try drilling the hole again. This next step determines the look of your curlew decoy. Do you want smooth curves and edges for a stylistic look? 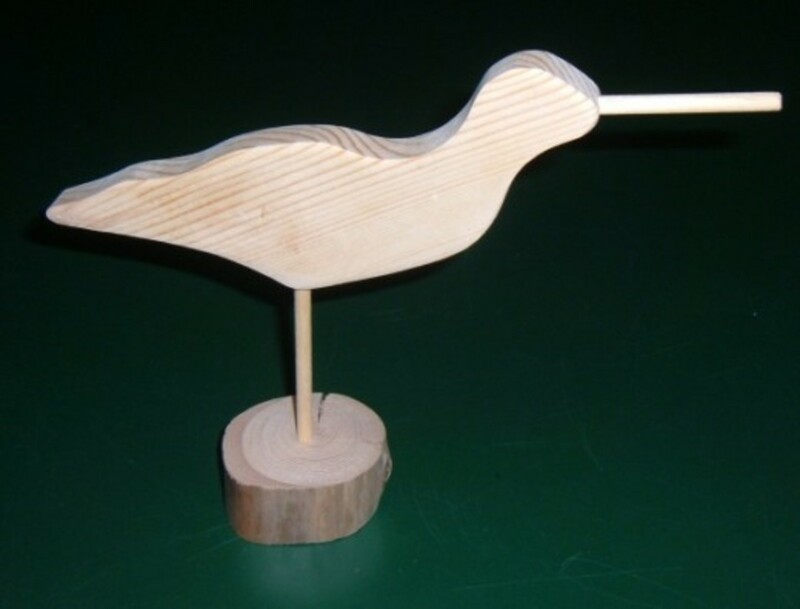 Do you plan to whittle and carve the decoy for a more realistic appearance? The choice is yours, and both options produce great results. For this blank, I opted to sand the blank smooth using the drum sanding attachment for my drill press. You can use any combination of sandpaper, sanders, wood files or rasps. Sand the edges smooth to remove all of the saw marks and round over the edges. To finish sanding, I switched to a finer grit of sandpaper to smooth over all of the surfaces of the blank. Also, sand and shape the end of the bill to a dull point, to resemble the beak of the bird. Time for another choice: How do you want to finish your decoy? 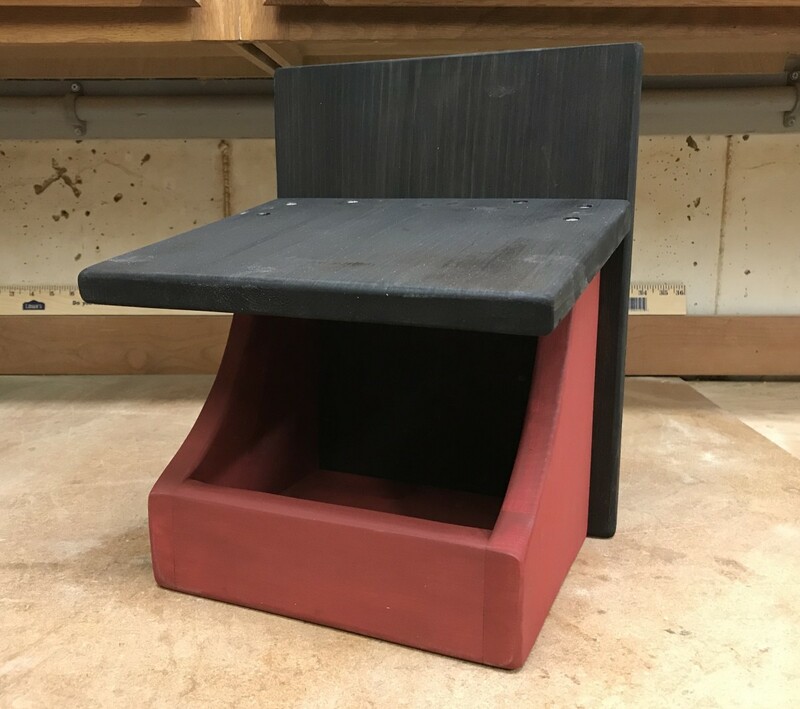 There are several options including painting with acrylics or oil paints, staining the wood or treating with an oil finish. The Photo Gallery (below) shows some of my past choices and may help you decide how to finish you decoy. For this little curlew, I chose to color the body with a medium-brown stain (Ipswich Pine). The bill and leg were painted black. After the stain and paint dries, I'll apply several coats of paste wax to protect the finish and give the decoy a gentle sheen. The driftwood stand gets several coats of Danish oil (mineral oil works great too). 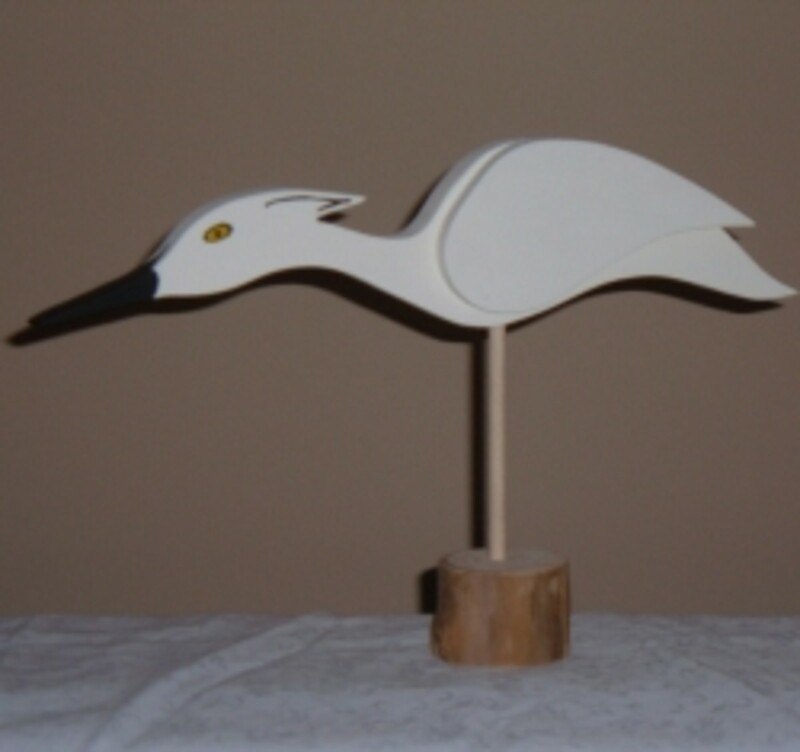 The little curlew in this photo was made using the same silhouette decoy pattern but rather than cutting the blank from a 3/4" thick piece of pine, I cut this decoy from a 1-1/2" thick piece of cherry. The body was shaped and sculpted using a rasp, then sanded smooth. The finish is several applications of Danish Oil followed by a coating of wax and buffed smooth. To get the slight curve in the bill, I soaked the dowel in hot water for about 30 minutes and then clamped the dowel in a rounded form until it dried. 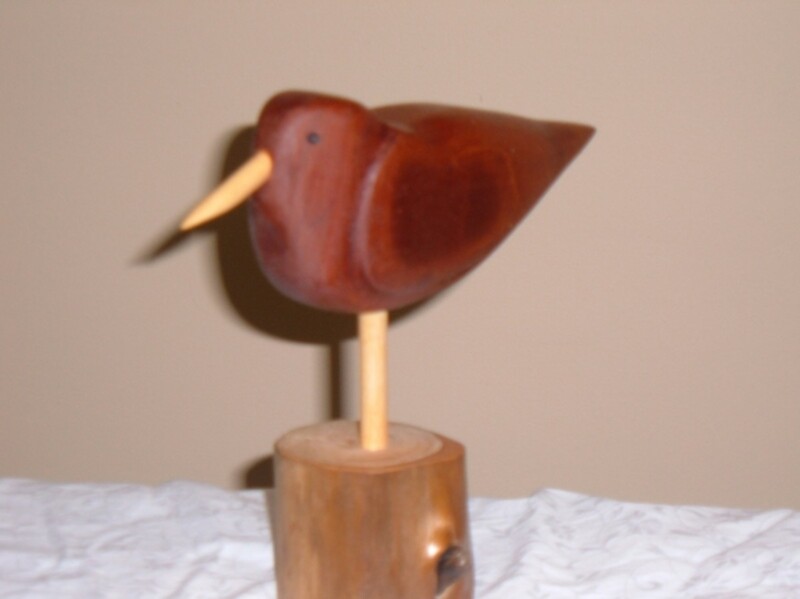 The following photo shows another little shorebird called a dunlin that I carved from a piece of mahogany. 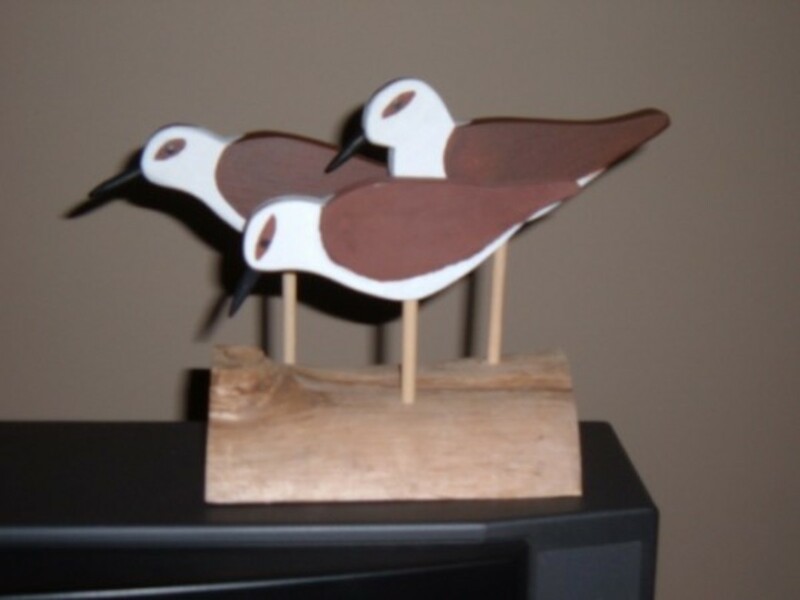 Will You Try To Make A Shorebird Silhouette Decoy? Yes! This is easy and looks like a lot of fun!! I like to buy decoys and/ or collect decoys, and prefer handcrafted items. Your lenses never disappoint me. I come in expecting to see an A-1 article and you deliver it every time. Fantastic. 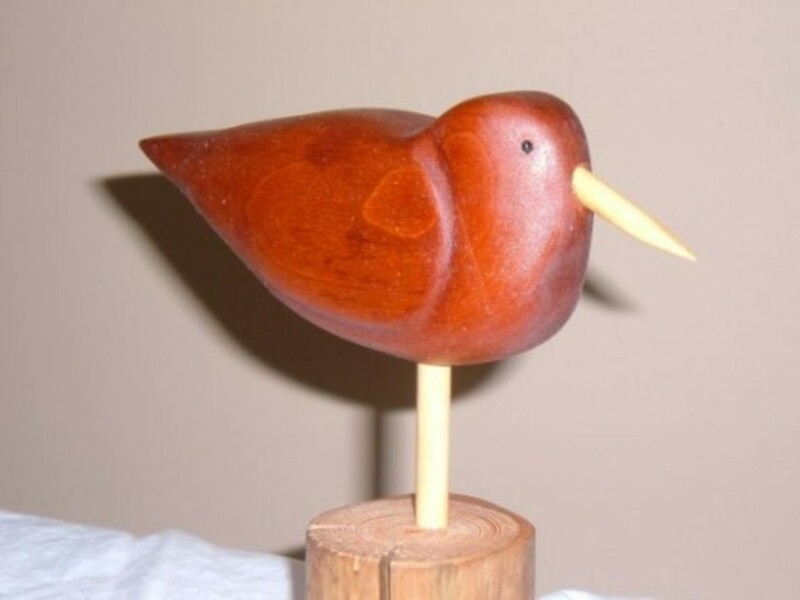 I absolutely love your hand crafted carved shore birds especially the mahogany bird. 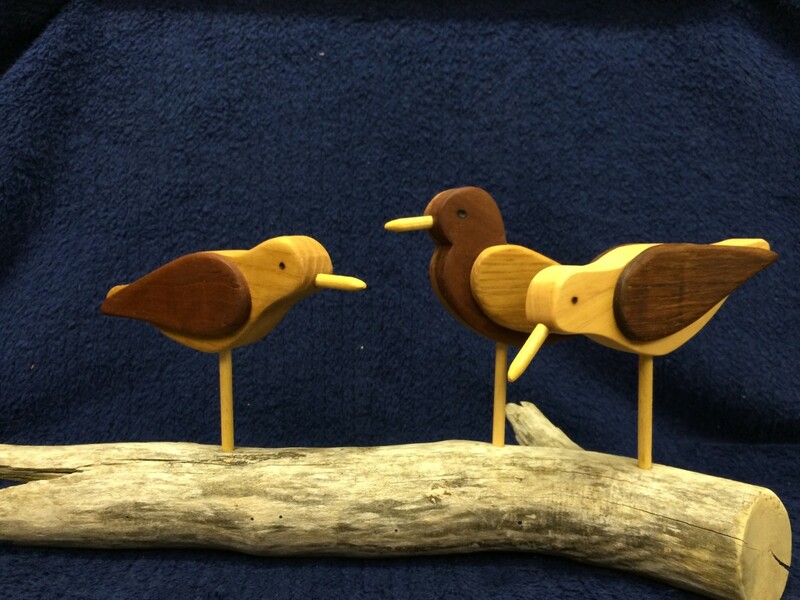 Your attention to detail in your wood crafts is what truly makes them so very beautiful. You do lovely work, Anthony. 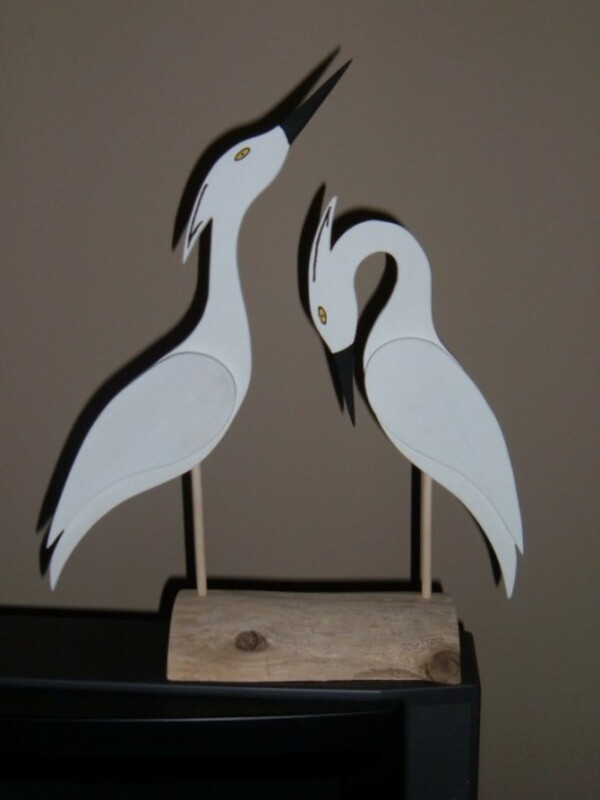 I do love handcrafted decoys, and yours are beautiful. Great information! Thanks so kindly for sharing! Blessed by a SquidAngel! My brother carves decoy so was fun to see your step by step for the folk art style. Beautifully done. Blessed. 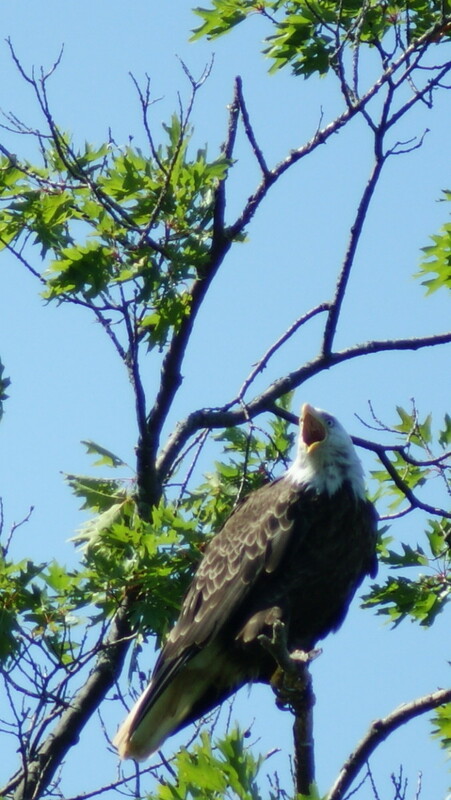 Your decoys are gorgeous! Love the pictures and the instructions. Beautiful lens!